Viknesh Vijayenthiran September 25, 2017 Comment Now! 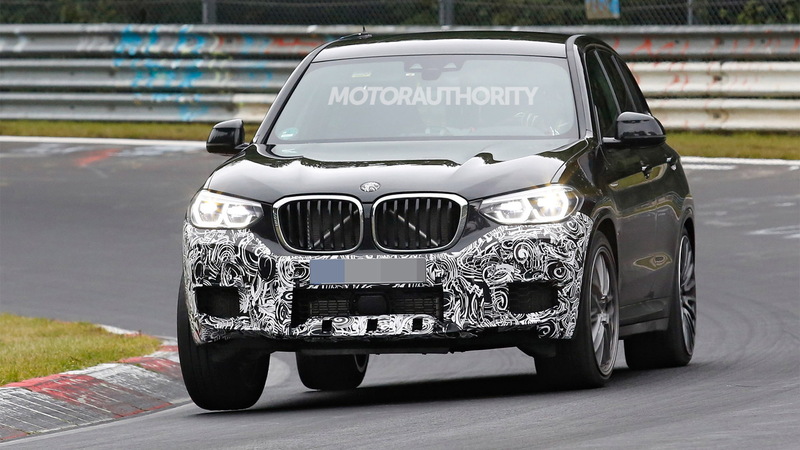 Feast your eyes on the latest spy shots and video of BMW’s upcoming X3 M.
The high-performance crossover SUV is based on the recently revealed third-generation X3, and when it arrives it will do battle with the Porsche Macan Turbo as well as a new GLC63 from Mercedes-AMG. We've also heard Audi Sport is preparing an RS Q5 and Jaguar Land Rover SVO an F-Pace SVR. 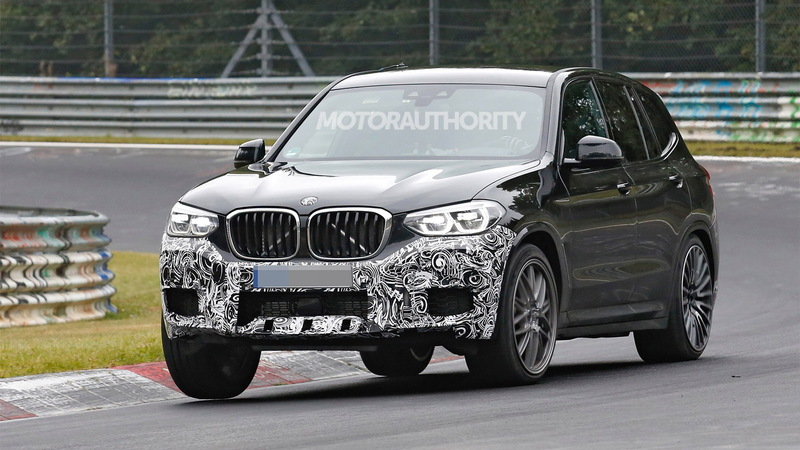 The X3 M will trail the arrival of the redesigned X3 which is on sale this year, as a 2018 model; we presently expect the X3 M on the market sometime in 2018, as a 2019 model. 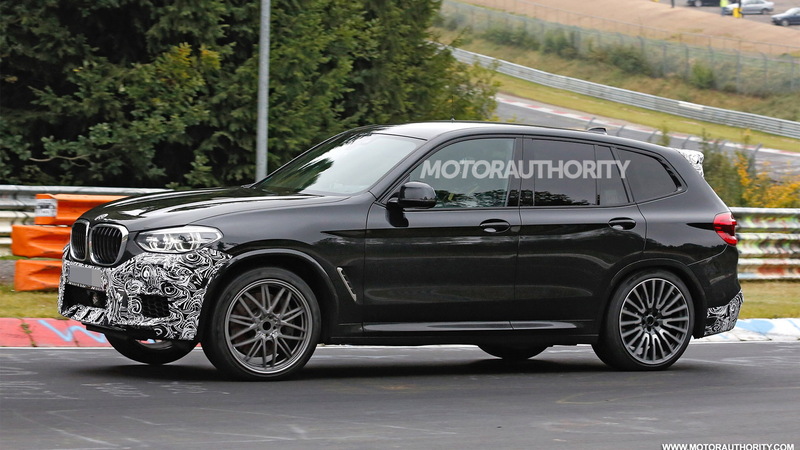 2019 BMW X3 M spy video from Motor Authority on Vimeo. Compared to the regular X3, this tester is wider, lower and fitted with larger wheels, tires and brakes. According to our photographer, the wheels measure 20 inches across and fitted with 265/40-size Pirelli P Zero tires at the rear. 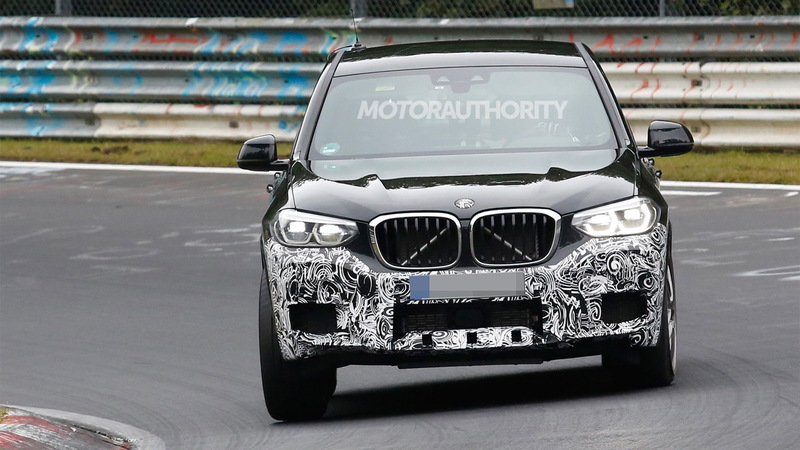 The tester also features the large intakes and hexagonal mesh pattern seen on the M2. Finally, BMW M’s signature quad-exhaust tips are fitted at the rear. Under the hood should be a 3.0-liter turbocharged inline-6, either borrowed from the M2 or the M3/M4. The latter is more likely, meaning output in this X3 M should hover around 425 horsepower and 406 pound-feet of torque. Something closer to the 450-hp mark is more likely. The standard transmission should be an 8-speed automatic and drive should be to all four wheels via a rear-biased all-wheel-drive system. 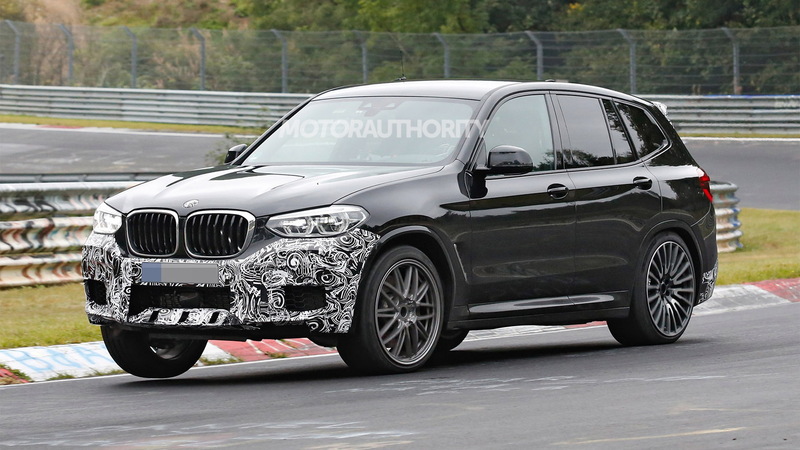 If you can't wait for the new X3 M, the latest X3 already has an X3 M40i option. This M Performance model has 355 hp and 369 lb-ft from a turbocharged inline-6.